This is an excerpt from a letter that scholarship recipient Amanda Broseus sent to Licking County Foundation last May. A year later, she has officially made the transition from scholarship recipient to donor after making charitable gifts to the Raymond H. and Beryl Dean Penick Scholarship Fund and the Licking County Library Fund. Broseus was a multi-year LCF scholarship recipient. “Having scholarships took pressure off my shoulders because I wasn’t going into debt for college, or having to worry about how I would have to pay that debt off. This allowed me to remain focused on my academics and not on maintaining multiple part-time jobs,” she said. 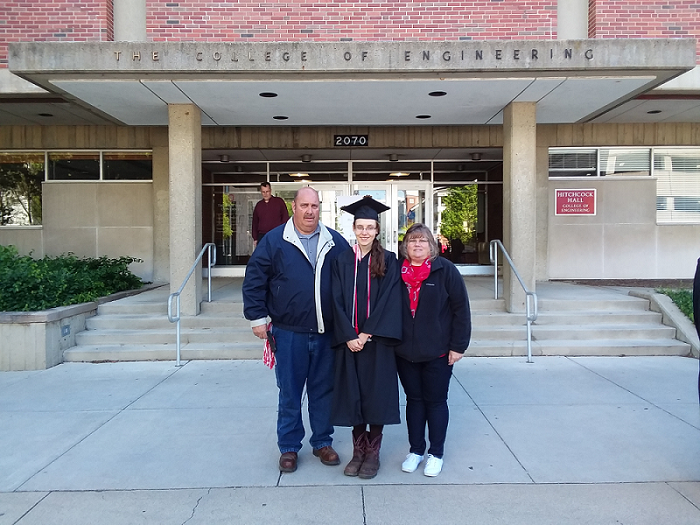 After graduating with a degree in chemical engineering from The Ohio State University in 2017, Broseus began working as a quality engineer at General Mills Inc. in southern Ohio. She knew that she wanted to give back and make a difference in someone’s life, the way her scholarship donors had made a difference in hers. “Part of the gift will go to a scholarship that I directly received and I’m hoping that it will help others who are in the same position as me when I was in college,” she said.